We received a tip from a T-Mobile user who sent a screenshot our way, at which point I realized that I also had a voicemail transcription thanks to a scam call I'd missed. After doing some research, we found this reddit post from three days ago that mentioned a notice titled "New! 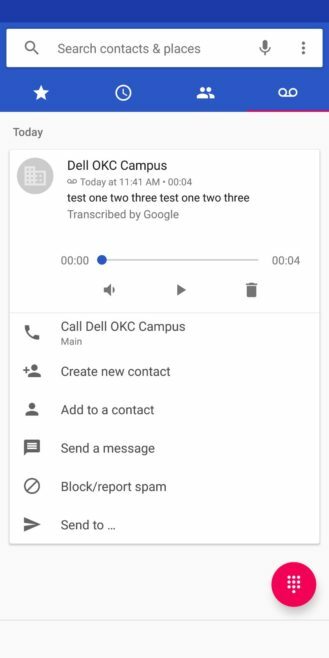 Read your voicemail" in one person's voicemail tab. The message supposedly read "See and listen to your messages, without having to call voicemail. 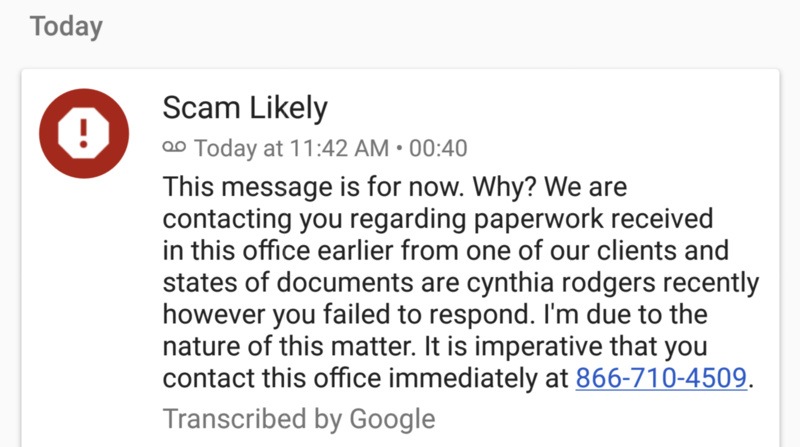 Transcripts of your voicemail are provided by Google’s free transcription service," but the feature wasn't live for the OP. I saw no such notice, but it's clear that the feature is at least rolling out. 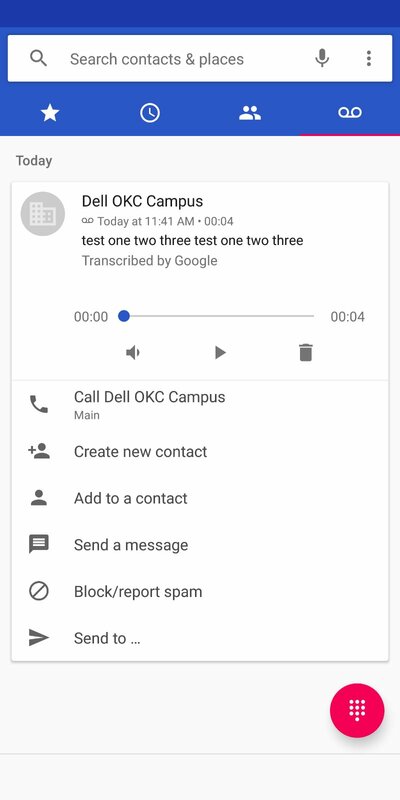 It takes a couple of seconds after the voicemail is left for Google to upload and transcribe the message. For reference, I'm on an older T-Mobile Simple Choice plan; ONE Plus subscribers have T-Mobile Visual Voicemail's transcriptions included in their plan, but that requires a separate app. This is a much better solution overall. Let us know in the comments if you're seeing these transcriptions as well, and if you are, what carrier you're on. 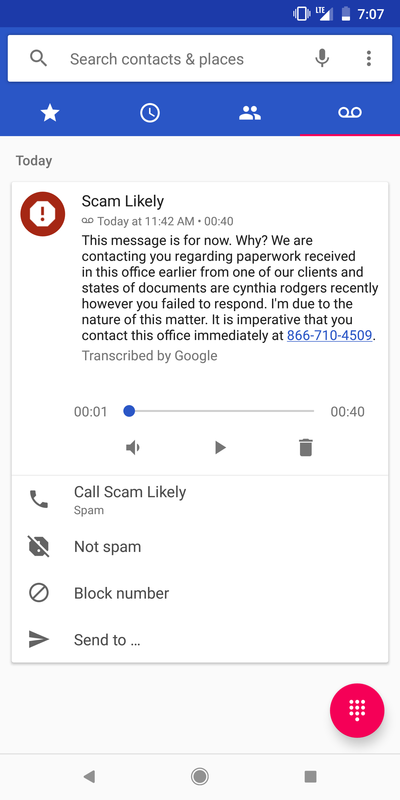 Now, if you'll excuse me, I'm off to block the spam number so I don't receive any more scam calls.